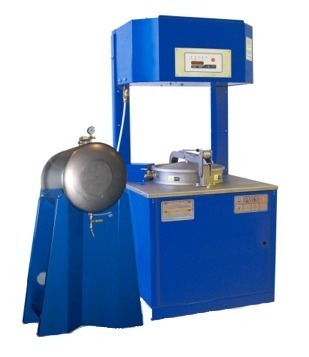 The vertical design of the UL2208 Ex-Proof Class 1 Div 1 Group D Certified ECOpure & ISTpure SR30, 60, 120, 180 and 240 solvent recycler is an improved version to the older type solvent recyclers with low positioned condensers. 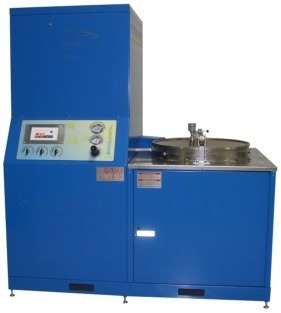 The ECOpure & ISTpure solvent recyclers are one of the most reliable and best performing unit in the industry, on the leading edge of technology and built to last. disposal cost by 90% or better. Typical solvents like Acetone, MEK, lighter than air solvents and solvents with low boiling points normally do not require vacuum. Solvents with high boiling points like new generation Xylenes, MNP's, Chloro's and heavier than air solvents require distillation under vacuum for safety and efficiency. We always evaluate your solvents and contaminants MSDS sheets prior to recommending the proper system. It is very important to also identify the possible presence of nitrocellulose and acids in your dirty solvent mix. Recovery rate : 97% and more. Return on investment : typically 4 to 12 months. Recycle time : Tycically 4 to 6 hours for most solvents. Solvents containing nitrocellulose will take longer due to temperature processing limitations. 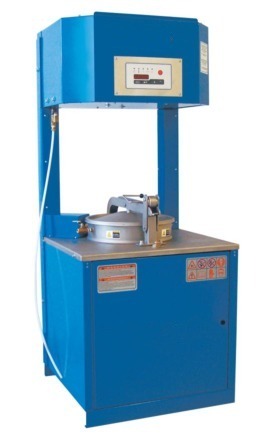 Easy to use : processor controlled, easy residue removal and positive-seal cover. Recycles most popular solvents, including mineral spirit, Acetone, IPA, MEK, Xylene, Hexane, Diacetone Alcohol, Ethyl, Methyl, Chlorinated solvents, flexo press wash, flexo plate wash & litho solvents and more. Safety standards : CSA certified USA and CAN to UL standard 2208, Class 1, Div. 1, Group D.
SR 30 and SR 30V (8 gallons) - How it works? SR 60 and SR 60V (16 gallons) - How it works? SR 120 and SR 120V (32 gallons)- How it Works? SR 180 and SR 180V (48 gallons)- How it Works? SR 240 and SR 240V (64 gallons) - How it works? 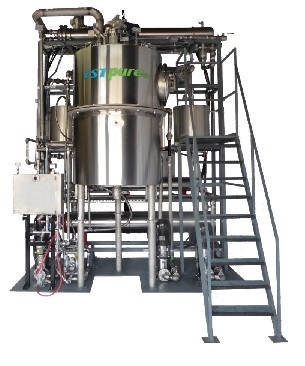 ISTpure SRC Series Solvent Recyclers provide continuous flow distillation process of cleaning solvents used in industrial processes. 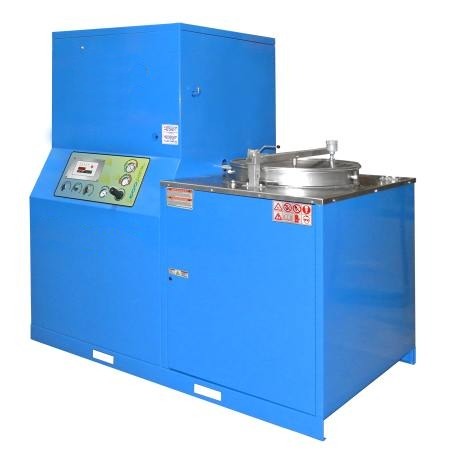 Units are equipped with vacuum pump allowing safe transfer of solvent between collection barrel and distillation tank during process, a vacuum system that increases distillation process performance, and scrapper that keeps bottom of tank clean and free of residue. 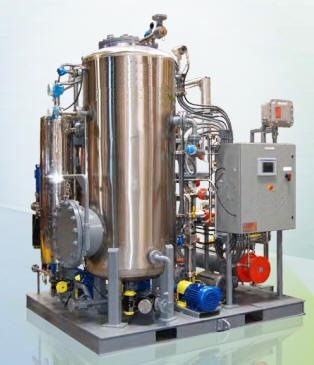 Units are suitable for industrial companies with extremely high daily consumption of solvent, with production yield varying from 15 to 375 liters per hour. from the chemical being purified. on a 24 hour per day basis.